With her second full length album finally released, The Electric Lady, we see Janelle Monáe continuing with her android Cindi Mayweather concept, that had helped her become a musical powerhouse. This is the 4th and 5th Suite of her concept album. 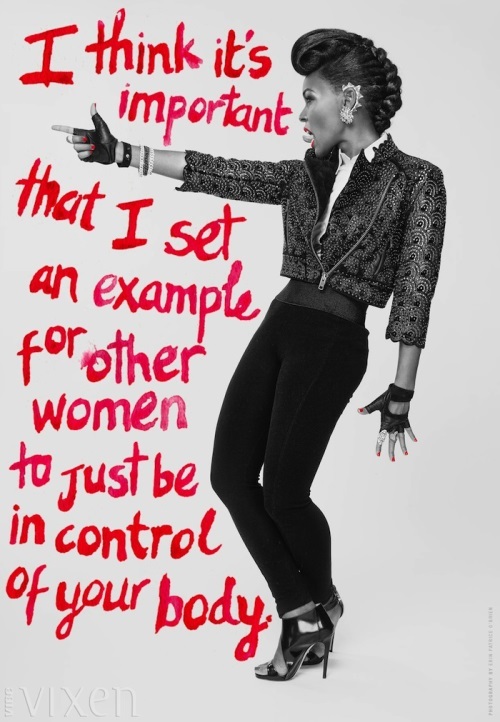 Ms. Monáe has been on my radar for years now. The first time I heard her EP The Audition and then her “official” EP Metropolis: Suite I (The Chase), I was blown away by her voice. Her whole concept is loosely based on the 1920’s film Metropolis, was different and interesting. With heavy influences from Afrofuturism and science fiction, there wasn’t a sound like this happening in mainstream R&B. She excited me, but part of me felt like she wasn’t going to crack into the Top 40 Pop scene. Three years later, Monáe’s debut album appeared. The ArchAndroid was her follow-up to her first EP. It still continued with her android concept, as the 2nd and 3rd Suites. From there her music exploded. You couldn’t get away from her. Performances at The Grammy’s. Becoming a Covergirl. Becoming a fashion ‘it’ girl because of her “uniform” of black and white tuxedos and Pompadour hairstyle. Hit songs with bands like Fun. 2007 me wouldn’t believe this would be happening, but I was sure glad for her success. This summer can be nicknamed the “Summer of Reminiscence”. Two of the most popular songs of the summer of 2013 had hints of this retro 70s feel. With Get Lucky by Daft Punk ft. Pharrell, even down to the minimalist music video screams a throwback to the era of disco. Then there was Blurred Lines by Robin Thicke ft. Pharrell and T.I, minus all the controversy of the song (from the anti-feminist lyrics and video to the alleged ripping off of Marvin Gaye), we can all admit the song has a certain disco-esque feel to it. Maybe Pharrell is the one to thank? There have been countless other acts that came out with music this year with the same feel. Artists like Empire of the Sun, Justin Timberlake, and even Bruno Mar’s single Treasure, all remind me of a decade long before me. So The Electric Lady coming out at the end of the summer seems like the perfect ending to a funky summer. An eccentric musical landscape, The Electric Lady combines the futuristic sounds of Cindi Mayweather’s fight for survival in a apocalyptic time, while reminiscing of the Motown-esque sounds of the past. Musically, this album pulls from many different inspirations. Also having many heavy hitters on her album also bridge together many of these themes. The Jazz of Esperanza Spalding, the funkadelica sounds of Prince, the soul of Erykah Badu, and neo-soul pop of Solange and Miguel, meshes together musical melting pot. She also works with the band Deep Cotton again, who help produced her album. Overall, this has been one of my favorite records to come out this year. It’s nice to see an artist you’ve been following for a few years now grow into this mega star, without completely selling out creatively. What makes her special for weird black girls all over the world, is that she is apologetically making art. She doesn’t fall along one label. She’s fun. She’s fireceless. She’s funky. She is the goddesses of weird black girl coo. Lately there has been this craze for everything nostalgic. Kids born in the 90s are clamoring to prove that their decade “did it better”. However most children born in the 90s can only really remember from ‘96-‘99, nearly half a decade is lost from us. A true 90s kid was born in the 80s, but this is an argument for another time. The 90s seem like it was a long time ago, but in really it’s only been 14 years since the end of the decade. So another essay on the importance of a popular 90s TV show seems redundant. However I’m here to say, this isn’t about how ground breaking this show was, but how many important life lessons this show taught. Unlike most of the animated shows in the 90s, Hey Arnold was able to teach important life lessons without being completely cheesy. 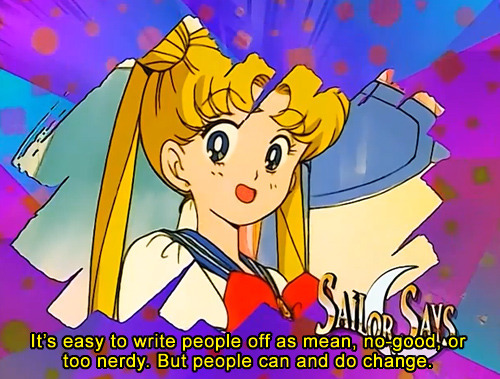 Anyone remembers the Sailor Says segment at the end of every Sailor Moon episode that aired in the early 90s? Yeah that kind of cheese. Children shows in the 90s felt the need to have an educational component to their shows, for better or worse. As an adult who still occasionally watches animated shows I find myself missing that cheesy life lessons portion of the show. Adventure Time may have many great life lessons tied into their psychedelic show, but there’s nothing like Hey Arnold on television right now. Two years ago I remember discovering Hey Arnold on Netflix. This was before the whole The 90s Are All That aired on Teen Nick. Hey Arnold hadn’t been in syndication for a few years now and it was cool to reminisce on a childhood favorite. As I sat there binge watching an “old” Nick classic with my then boyfriend, remembering how hip Arnold was by listening to Jazz music and having the coolest bedroom for a 4th grader, how Stoop Kid finally left his Stoop but he clearly wasn’t a kid but more of a high school dropout who had a serious mental condition that wouldn’t let him leave his Stoop, to how hopelessly romantic, but also how derange Helga was. She was very poetic for someone her age. Re-watching as an adult made me realize how serious this show would get. There was a reason why my mother would watch the show with my brother and me when we were kids. It hits you somewhere that many other children shows just didn’t. Comparing the show to others that were on the air at the time, some would have said it was too low key. In reality it was a show that was always consistent and was kids and adults could relate too. Hey Arnold has been a mainstay for The 90s Are All That block for the last two years. Occasionally I find myself watching the reruns late at night. 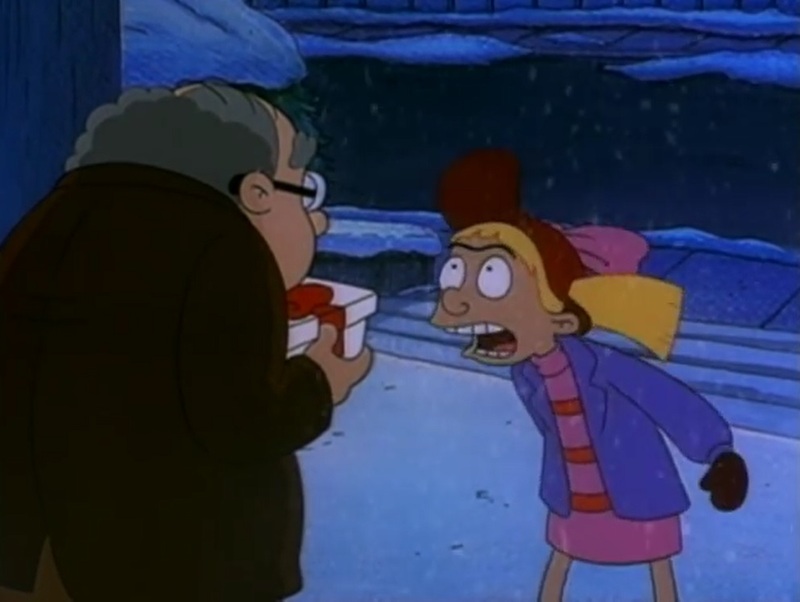 Arnold’s Christmas: The Episode where Mr.Hyunh reunites with his long-lost daughter. Synopsis: The boarders decide to have a secret Santa for Christmas. Arnold ends up having Mr. Hyunh as his secret Santa and isn’t sure what to get him. Mr. Hyunh is little down, since the holidays remind him of his lost long daughter, Mai. He goes on to tell Arnold about how he was separated from his daughter during the Vietnam War. And all he wants for Christmas is to see her again. So Arnold goes on this crazy adventure to find her in the city’s records. Now holiday specials are always good episodes, but this one was one of the more memorable ones. We all know that Arnold was a special kid. He’s supposed to be the voice of reason amongst all the characters on the show. There is a reason why people go to him for advice. He seems to always know the right thing to say. He is also willing to go above and beyond for the people he cares for. he wanted to make Mr. Hyunh’s wish come true, she secretly gives up her shoes so she can locate Mai. Both Arnold and Mr. Hyunh are surprised when they see Mai at the door for Christmas. Now anyone with a soul had to shed some tears from this episode. The reason why I list this episode as important is because of a few reasons. For one it was able to depict a historical moment, talking about the Vietnam War for instance. Culture is referenced in Hey Arnold, but race was never talked about however. We also see how innocent and pure children can be. 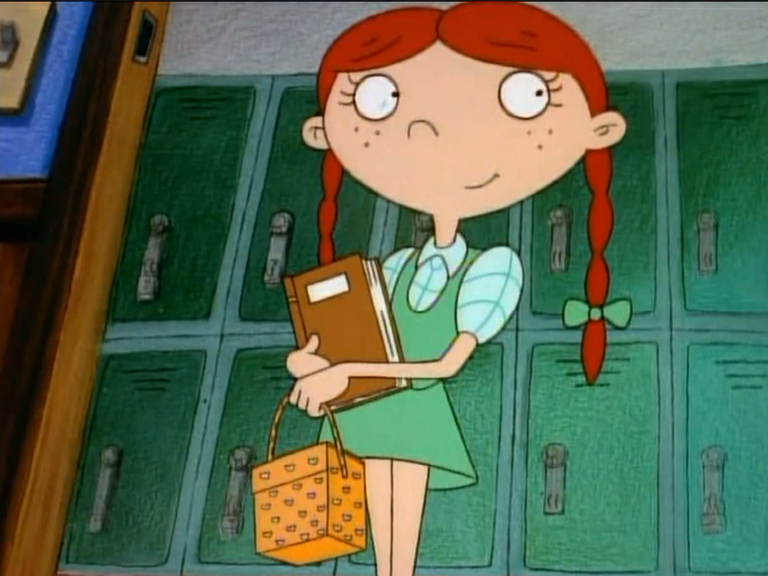 Even though Helga can be mean-spirited and selfish at times, she still cares for others. In this case she loves Arnold. Her love for Arnold affects other people because Arnold at his core loves to help others. If it weren’t for Helga’s love for him, he wouldn’t have been able to bring happiness to Mr. Hyunh. In the end it was seen as Christmas Miracle, but in reality it was all about the goodness of others. These are simple morals we are all taught as children, to help out our fellow-man. It’s the simple lessons like this that hold strong sentiments in life. Adults should be required to watch this episode so they can be reminded that there’s more to life than material items. Ms. Perfect: The episode where you found out Lila is poor. Synopsis: Lila is the newest student to the school. Helga and the girls decide to bring her into their group as their little “pet project”. They end up finding out that Lila is a little “Ms. Perfect” and starts to excel at all of the girl’s special talents. She also gains the interests of Arnold, which angers Helga. The girls decide to pull a number of pranks that all go ire. Finally they pull the perfect prank against Lila, which forces her to stay home the next day. When the girls go over to her house to drop off her homework they realize that Lila comes from a poverty-stricken home. Her home is in shambles, they barely have enough food to eat, her father is jobless, and it’s never mentioned if her mother is in the picture. Having a show that is placed in urban landscape means poverty has to be talked about. Rather than sugarcoat poverty on a children’s show, Hey Arnold was able to bring this to light. In the U.S, we have the 2nd highest rate for child poverty out of the 35 richest countries. Almost 22% of children live in poverty in this country. More than one and five children in the U.S face hunger. We also see that her father was jobless. Currently are national unemployment rate is 8.7% according to Gallup.com. Of course the majority of the episode is about being the new girl, the interactions between girls and how we’re conditioned to believe we’re in constant competition with one another, and the cliché never judge a book by it’s cover. On the outside Lilia seemed like she had it all together. Like many students in this situation, they feel the need to put on a front that their home situation is better than it really is. Focusing on other things helps them cope with the reality. Sometimes it’s getting good grades and sometimes it’s dating a new boy. These “distractions” come in all shapes and sizes. Poverty, unemployment, and hunger were and still is a major issue in our country, to see a popular children’s show showcase this allowed other children living in similar situations to relate. It also allowed children not living in these similar situations understand that not everyone lives the same life as them. Synopsis: Arnold’s carrier pigeon, Chester, is sick and he decides to go the Pigeon Man to see if he could help. He is a legend in the neighborhood, but no one actually talks to him. 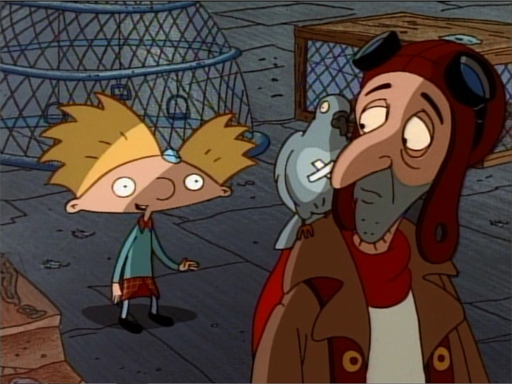 Arnold discovers that Pigeon Man, also named Vincent, lives this life because he finds a home with his birds while humans constantly disappoint him. Which they prove at the end of the episode. This was an episode that was personal to me. In my old childhood neighborhood we had our own pigeon man. He would sit by the bus stop and feed the pigeons all day. My brother was a friendly child and would always stop and say hello to him. I, on the other hand, seldom said anything to the man. He scared me. He smelled and looked like he wore the same thing all the time. Growing up, I was an extremely introverted child and was scared of everyone and everything. To some people I appeared to be a rude child. Our Pigeon Man believed this to be true and would say mean things to me. In retrospect he was probably teasing, but as child and not fully understanding sarcasm it only made me scared of him more. So what does this have to do with Arnold’s Pigeon Man? Everything! It wasn’t until I re-watch the series that I realized both Pigeon Men have a lot in common. In Hey Arnold he looked for peace and humanity in these birds that he couldn’t find in normal society. He was shunned because he found a family amongst those birds. He took care of them, like they took care of him. Arnold was able to reach out to this man when no one else would. He showed him that not all people were terrible. However, when some of Arnold’s friends go up to the roof to where Pigeon Man lives and ruins his bird coops, he is completely angered and disgusted by what happened. As an adult you realize how terrible this world can be. We make fun of people who lose themselves in a fantasy world. We make fun of people who rather live outside of the cultural norms. But here is a man who was happy living with birds, who was happy taking care of birds. Through the lens of a child, you feel a sense of sadness for the Pigeon Man. He was happy, even though he was living with birds. Through the lens of an adult; you feel a sense of pity. All you can think of is that this man needs help. A child can feel for this man, an adult can only think. That’s the scary part about growing up. You lose the ability to relate to others. Children can relate to talking lions, superheroes, and pigeon man because no matter how bizarre their get up is, they’re all still people (even the talking lions) with feelings. There are countless episodes that could be mentioned. This show was able to weave together many issues children in the inner cities went through. It captured a voice that many children shows failed to create. From poverty, class, privilege, gender roles, death and lost, alcohol abuse (if we used Helga’s mom as example), mental instability, and so much more, this show made this all easily digestible for young children through the use of colorful and memorable characters. It instilled good morals, while also being entertaining. Hey Arnold was not a perfect show; sometimes I wished it tackled race or maybe sexuality. But it did teach you how to be a better person.